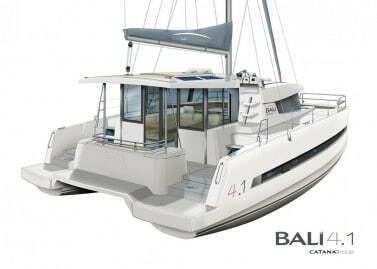 Taking the innovations even further from the Bali 4.0 with an integral aft platform joining the two hulls, the Bali 4.1 ‘Unique’ is a truly incredible living space, it is easy to forget her small size. 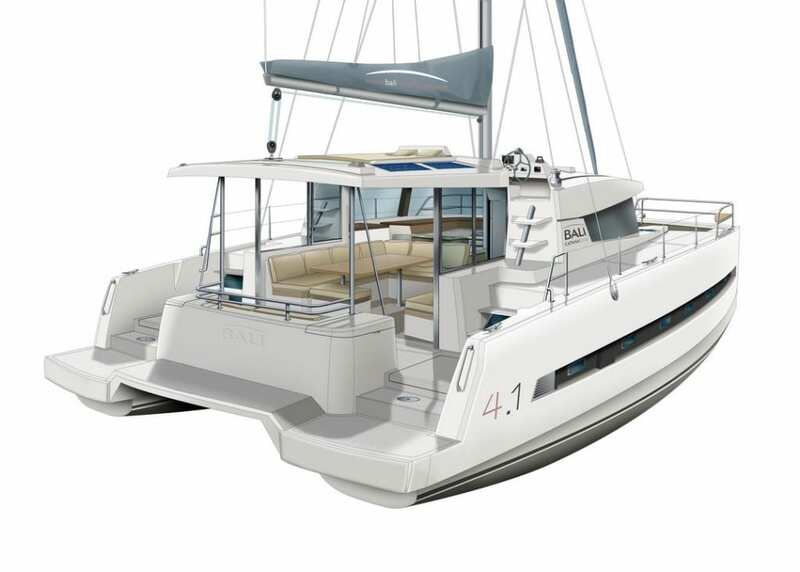 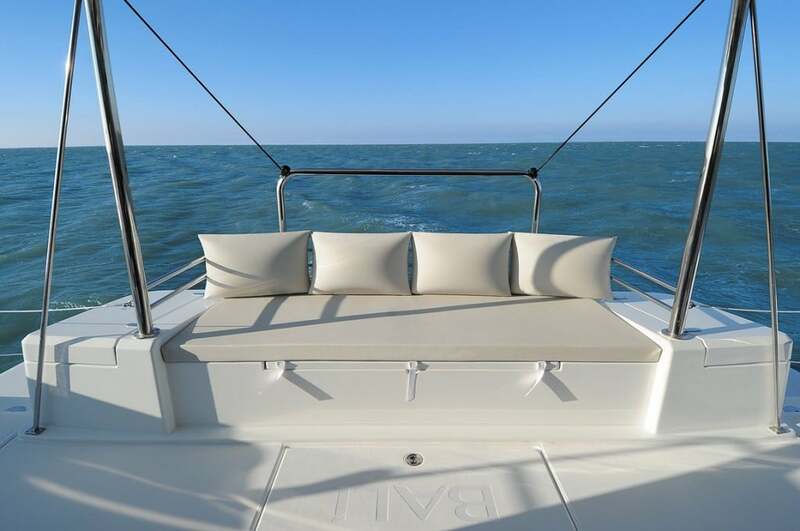 Expect more sailing and relaxation fun in Lounge mode; the Bali 4.1 encompasses all the innovations from the Bali 4.0 and 4.3 with some new unique features such as the aft cockpit bench with large built-in lockers for storage of items such as scuba gear and barbecues. 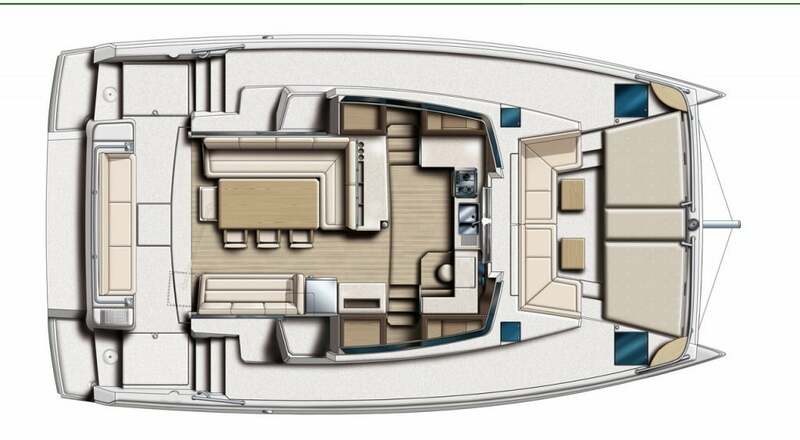 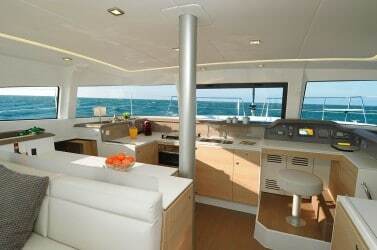 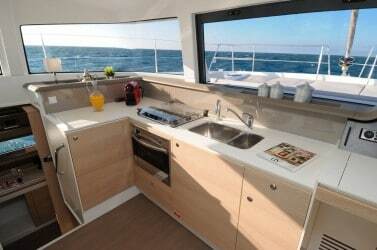 There is also a new aft deck between the hulls for easy access and dinghy operation. 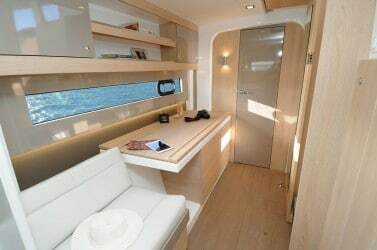 The forward cockpit with comfortable seating, twin table dining area and super sunbathing platform in place of the old traditional trampolines gives masses of extra living space, increased further still by the sunbathing area found on the coach-roof. 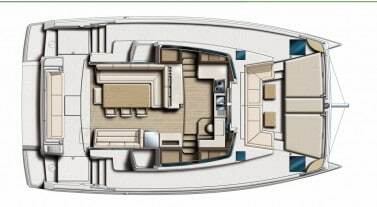 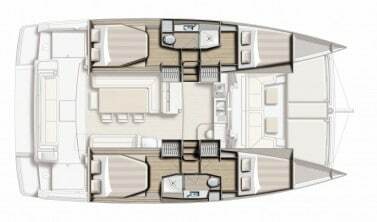 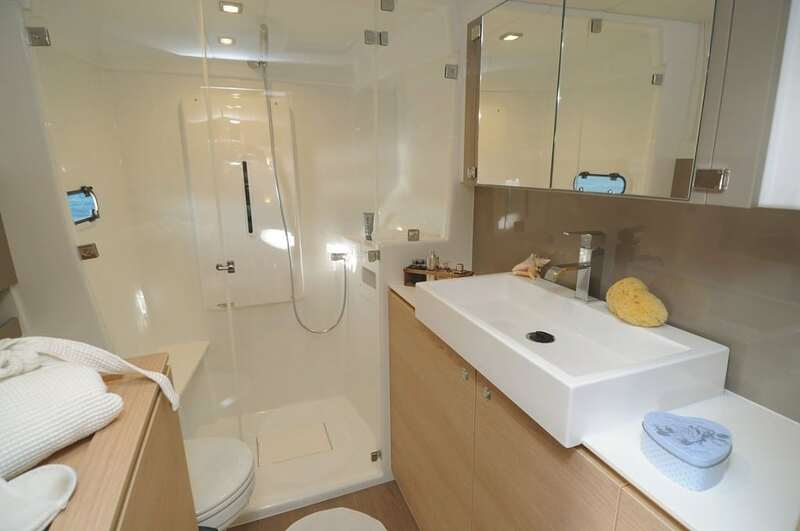 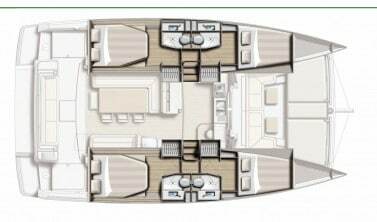 Inside, the Bali 4.1 has large comfortable cabins with luxury bathrooms, the saloon offers a large L-shaped lounge and dining area and is free of any bulkheads. 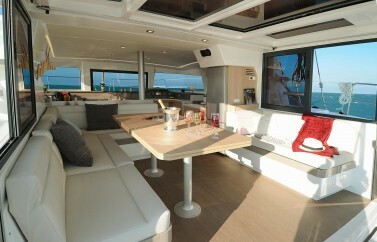 There is a comfortable extendable lounge settee opposite to the dining seating also. 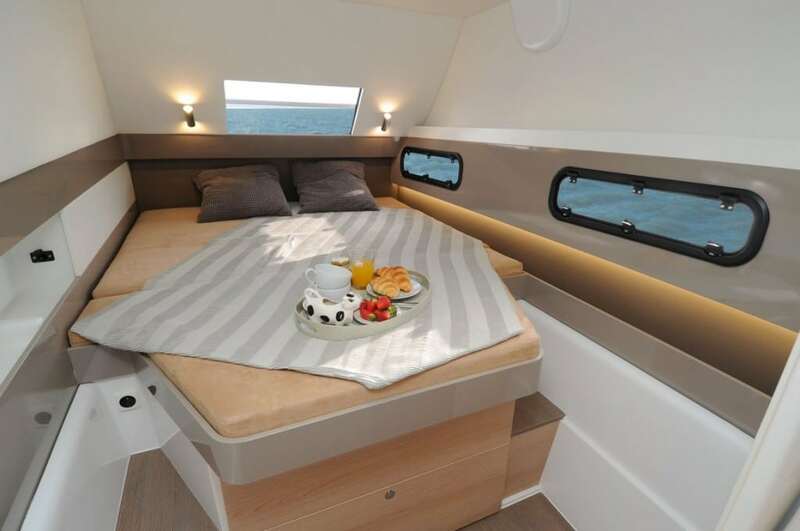 The interior décor by Lasta studios puts the emphasis on fluid lines and a light and airy interior, combined with high quality materials all make for stylish and luxury living. 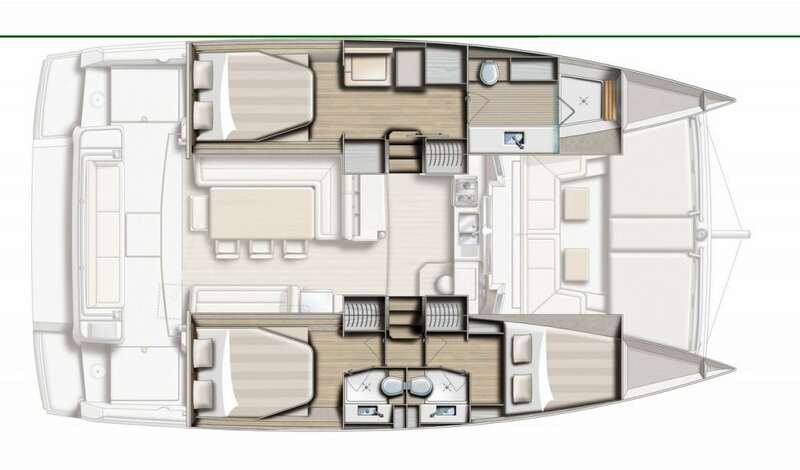 The Bali 4.1 follows all the innovations that have been so successful with the Bali range – huge flush-floored cockpit & saloon area which completely opens up with the full-width pivoting glazed door. 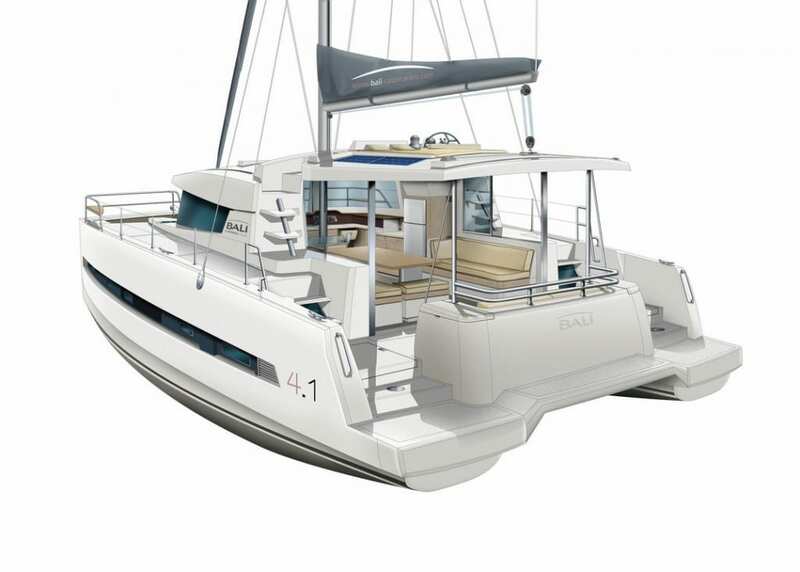 The large and seaworthy fore-deck provides high structural integrity, protection from spray, easy operation of the sails and also the anchor windlass. 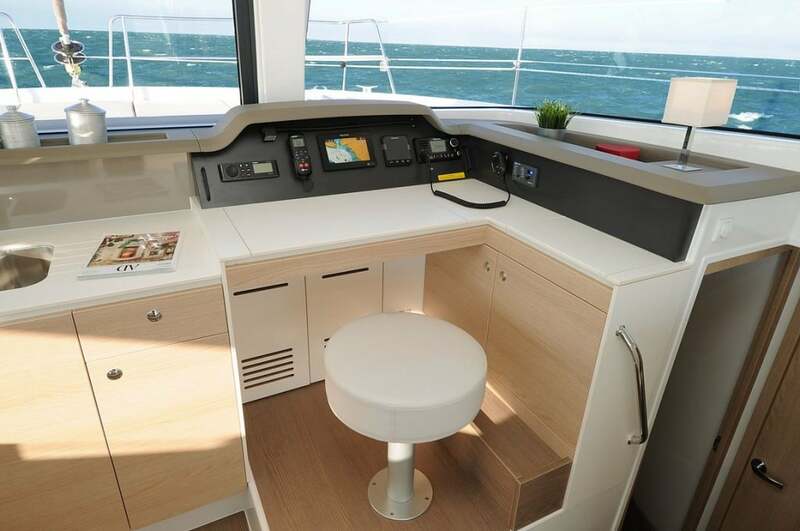 This large forward cockpit area is also perfect for sunbathing and outside dining, and can accommodate the whole crew for watching those great sunsets together. She has a raised helm with a great sociable seating and lounging area, large retractable forward saloon window and sliding side windows for maximum ventilation. 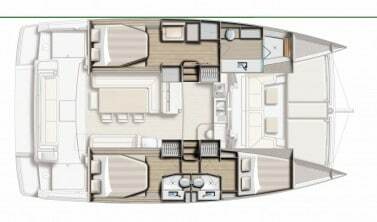 For long-term self-sufficiency there are large capacity fuel and water tanks, a generous battery bank, high output alternators, inverter fridge freezer and plenty of room for optional solar panels.